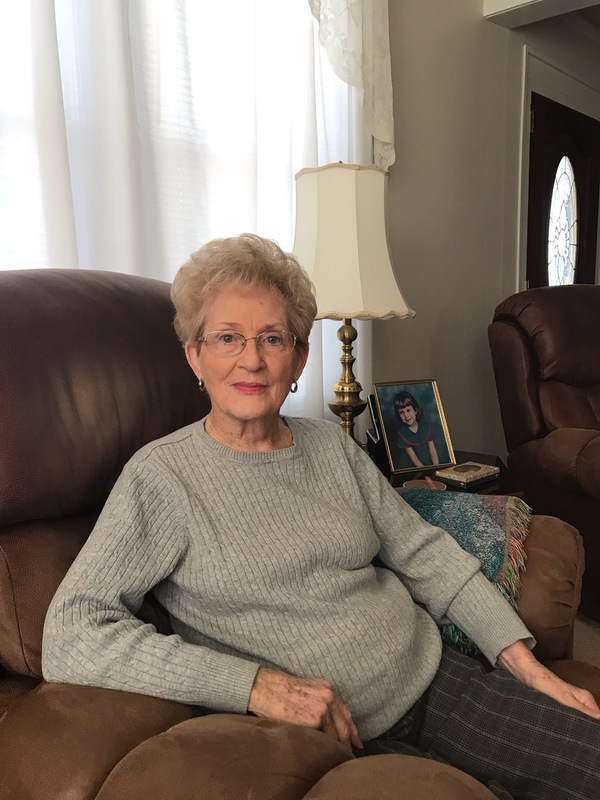 Ruby Meadows is a retired, independent lady. 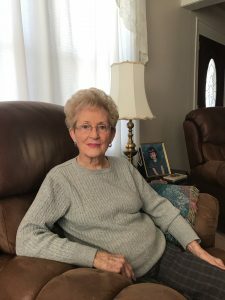 She is a proud mother, grandmother, and great-grandmother to two little boys. Ruby was enjoying her family and loving life. One night, coming home from Wednesday night supper at church, Ruby tripped and fell on her concrete steps. She sustained a scalp laceration and head injury. Although bleeding from her head, Ruby managed to find her keys and make it inside to call 9-1-1. Ruby spent nine days in the hospital, part of that time in ICU. After Ruby was stabilized she transferred to Spartanburg Rehabilitation Institute. On admission to SRI, Ruby needed help with eating, toileting and dressing. Her balance was impaired and she needed maximum assistance with walking. Ruby spent two weeks in rehab. Ruby and her son knew that SRI was the right choice for her rehab. Her husband had been a previous patient a few years prior. “I enjoyed everyone from the lady that helped me bathe the first day I arrived, to the friendly faces that served my food,” she added. Ruby made great progress each day, culminating in her discharge home. 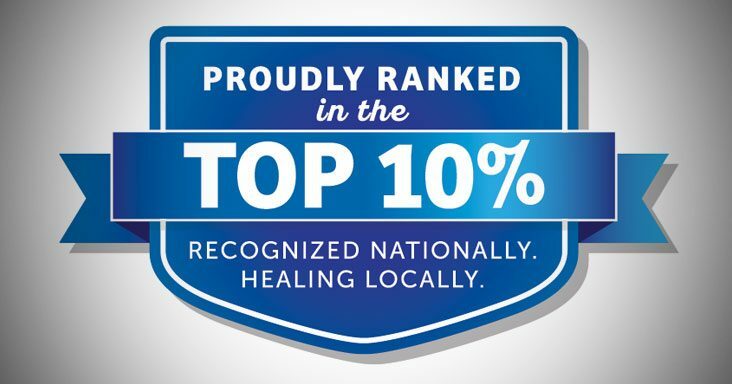 Spartanburg Rehabilitation Institute has been named in the Top 10 percent of inpatient rehabilitation facilities in the United States for the 4th year in a row. The hospital’s care was cited as being as being patient-centered, effective, efficient and timely. Spartanburg Rehabilitation Institute was ranked in the Top 10 percent from among 870 inpatient rehabilitation facilities nationwide by the Uniform Data System for Medical Rehabilitation (UDSMR), a non-profit corporation that was developed with support from the U.S. Department of Education, National Institute on Disability and Rehabilitation Research. The UDSMR maintains the world’s largest database of rehabilitation outcomes. “If you take into account that a national study has previously shown that inpatient rehabilitation facilities provide better long-term results for patients, being ranked at the top of that group validates the quality of care we provide,” says Dr. Timothy Murphree, Medical Director of Spartanburg Rehabilitation Institute, referencing a study commissioned by the ARA Research Institute that showed patients treated in inpatient facilities experienced improved quality of life as compared to skilled nursing facilities. Through the UDSMR, Spartanburg Rehabilitation Institute also will collaborate with peers throughout the nation to share information and establish best practices for patients. “This helps elevate rehabilitative care for everyone across the United States,” Murphree says. Spartanburg Rehabilitation Institute provides specialized rehabilitative services to patients who are recovering from or living with disabilities caused by injuries, illnesses, or chronic medical conditions. This includes, but is not limited to, strokes, brain injuries, spinal cord injuries, orthopedic injuries, cerebral palsy, ALS (Lou Gehrig’s Disease), multiple sclerosis, and Parkinson’s disease.